Painterly Visions: Transformer Auction Tickets On Sale Now! 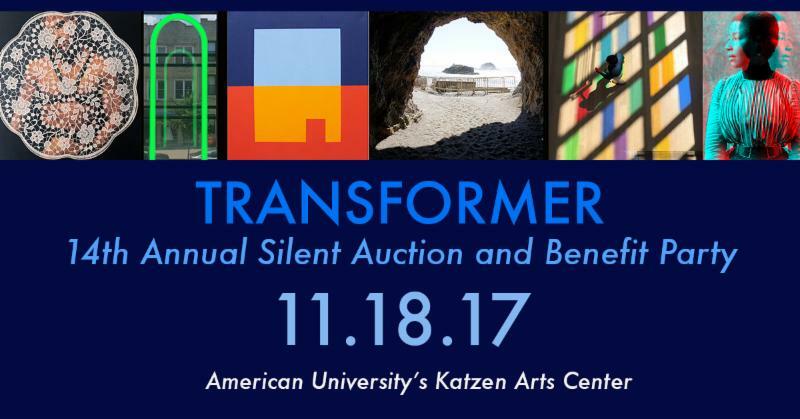 Transformer Auction Tickets On Sale Now! All Auction proceeds benefit Transformer programs and artists. Visit transformerdc.org for additional Auction details. PURCHASE YOUR TICKETS TO AUCTION TODAY! Ticket prices go up on November 5. Image credits of 2017 selected works (left to right): John Paradiso, Gear, 2017, found image and paper doily with acrylic varnish on leather mounted on wood panel, 12"x12"x2"; Ani Bradberry, The Moment, argon with mercury, wood box, transformer, 2'x6.5"x6"; Adrienne Gaither, Central Time, 2013, 72"x60", acrylic on canvas; Frank Adams, Access, 2017, archival inkjet print, 16"x20"; Max Hirshfeld, Morgan Library, 2015, archival pigment print, 18"x12"; Antonio McAfee, Third 2, 2017, digital C-Print, 3D image with 3D glasses, 16"x20".